And the winner of the British Pie Awards 2017 is… a pie!!! Heck, even the Plymouth Herald newspaper chipped in with “Outrage as pasty from CUMBRIA wins British Pie Award” – oh and for the record, they also referenced the world leading pie review blog Pierate Pie Reviews! 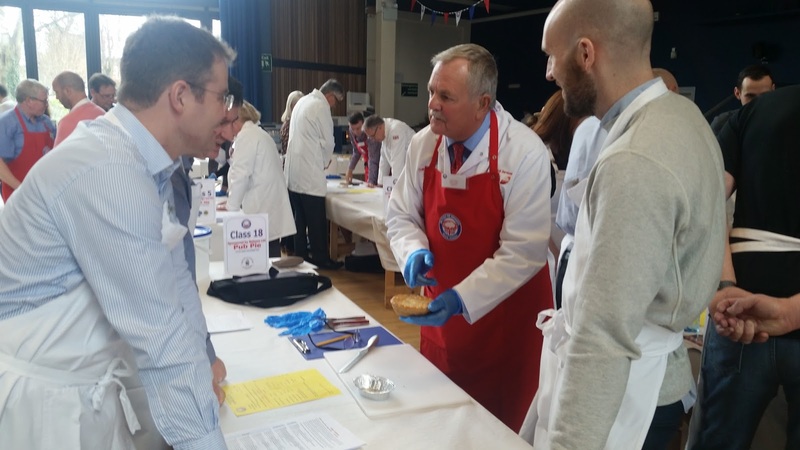 So after all the controversy surrounding the British Pie Awards 2016, which of course meant we couldn’t review the Supreme Champion for the first time since 2013 - as we’d never touch a pasty with a barge pole – you can imagine our relief when the overall winner was announced as a pie! And not just any pie, but a Pierate Highly Recommended pie that we’d rated a few years ago! 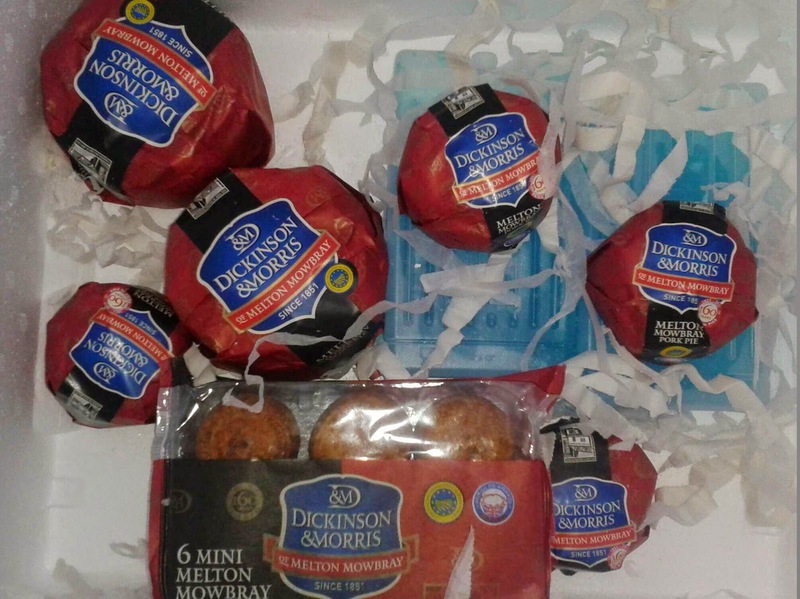 So many congratulations to the Supreme Champion pie from the British Pie Awards 2017 – the Melton Mowbray Pork Pie from Dickinson and Morris. At 6.15/7 it was awarded Pierate Highly Recommended status when Pierateer SJL pie rated it in 2014. Certainly deserving of awards, the British Pie Awards compare Stephen Hallam must be delighted to not only help run the awards but sell Dickinson and Morris Melton Mowbray Pork Pies at his local shop in the town centre, Ye Olde Pork Pie Shoppe! You can imagine there will be an increase in sales follow this title win, and in a recent email sent out from the company they said they were “supremely proud” to announce they had been crowned Supreme Champion! Read our review of the British Pie Awards 2017 Supreme Champion from Dickinson and Morris! But the British Pie Awards were about far more than just the Supreme champion! 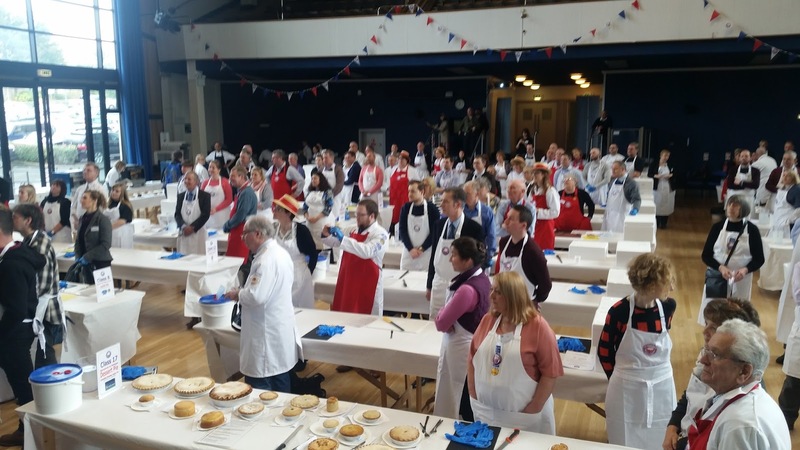 With a bit under 900 pies rated by over 100 judges, there were 21 different classes (20 of them being pie classes and one non-pie class) to munch and rate in a busy few hours on Wednesday 8th March 2017! The venue may have changed – with St Mary’s Church unable to be used due to renovation of the church this year – but the outline was the same. Briefing, judging and collating the best pies on the Wednesday, followed by the crowning of class and overall supreme champion on Friday 10th March. 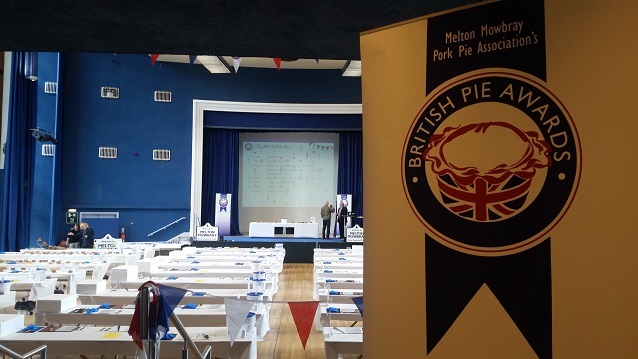 You can catch up with all the highlights of the day in our “British Pie Awards 2017 – Live!” article. - The Chicken, Leek and Parmesan Pie from Ben’s Kitchen winning the Small Producer award – one we’ll have to try and pie rate soon! 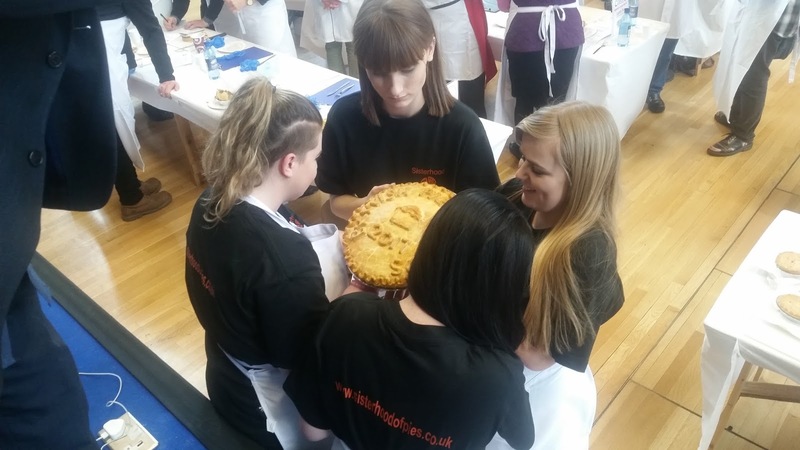 - Our number one pie maker – Chris from MyPie London – both winning the class and having another in the top 3 in the Vegetarian pie class, to compliment the Steak, Venison and Minced Beef meat pies that he has in the top 10 (out of 600) in the Pierate Pie Rankings! We rated the vegetarian class winner – MyPie’s Sweet Potato and Goat’s Cheese – as Pierate Recommended with 5.93/7! - The Pierate highly regarded Nice Pie (who we have rated countless Pierate Recommended Pies from) winning the Beef and any other flavour class for their Beef in Red Wine with Roasted Marrow Bone Pie – one we are going to be reviewing very soon! They also won the Chicken and vegetable/herb and the chicken and any other meat pie classes too! Nice job!!! - Graham Aimson, head chef at Morecambe FC, once again doing well with a “Highly Commended” (aka top 3) pie in the sports pie (Steak and Ale) and dessert pie (Bramley Apple) classes. This follows their supreme champion wins in 2014 and 2011. Consistency! 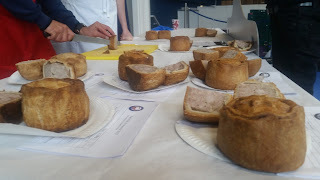 - There were also a few mass-producer surprises, with Pukka Pies being “Highly Commended” in the Beef and Ale Class and Ginsters being “Highly Commended” in the non-pie class! Not sure what that says about the entrants in the non-pie class!!! 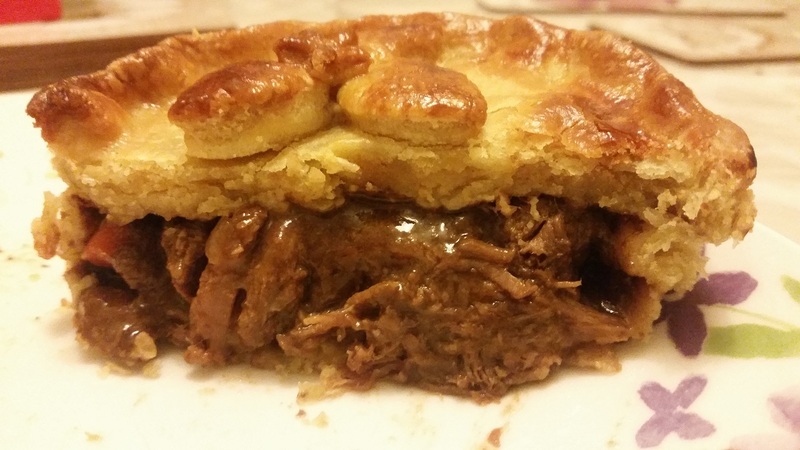 - And finally the British Pie Awards avoided having controversy for a second consecutive year by clarifying that the second and third placed pies in the Meat and Potato class – namely a “Peppered Steak Pie” and a “Beef Stew Pie” – did actually contain potato! Despite the names, they met the class requirement of having a content of potato (the levels of potato are not specified in the rules of the British Pie Awards). The Melton Mowbray Pork Pies, from where the Supreme Champion came! 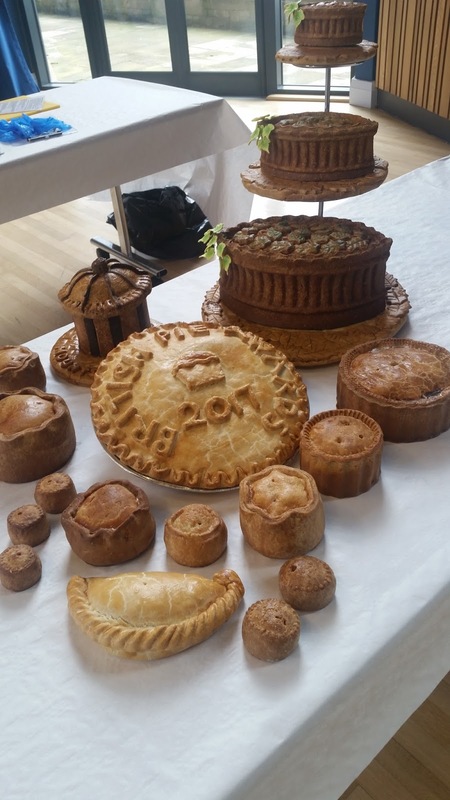 All in all, it was another hugely successful year for the British Pie Awards, and this time for all the right reasons! I particularly enjoyed chatting with TV chef Phil Vickery (who cooks on ITV's "This Morning" show), but also meeting and chatting to lots of friends of the blog, such as Nik Speller, #AwayDayPieGirl Katie Peal, Martin Tarbuck and Jonny Smith. This also included our com-pie-tition winners Anya, Charlie, Jessica and Katie - who won the chance to judge at the Awards and write for the sports pie blog called the "Sisterhood of the Travelling Pies" - plus we had a good chat with butchr.net creator Jamie, looking to grow a website he’s designed to bring butchers and meat industry professionals together. 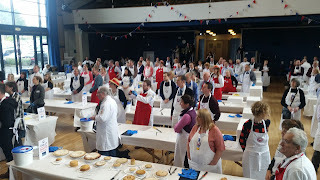 With the nation’s pies judged for another year, you’d think that was it til next British Pie Week. 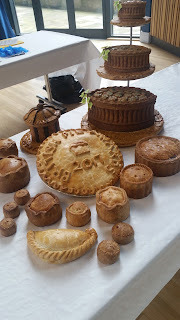 But of course any of you who’ve read Pierate Pie Reviews before will know that British Pie Week and the British Pie Awards are just the start of things for us. We’ll be judging and rating pies all year round, so check back again soon!